You now this scenario, I’m sure: you have a hard day at work, then take the crowded train and finally get home. There, the last thing you want is to do housework, because you’ll end up spelling everything anyway. Guess what, these kinds of days are actually really inspiring for designers. 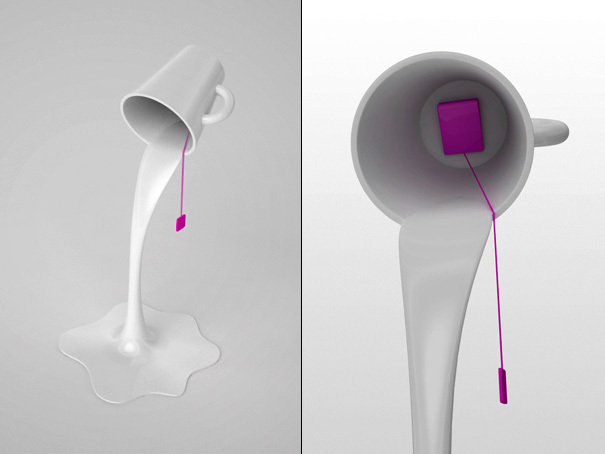 When I saw Pouring Light Lamp (by designer Yeongwoo Kim) I smiled, reminding me of those weekdays evenings when I spelled my tea/milk/hot cocoa all over my kitchen. It’s a great home décor design I really want to see in stores. 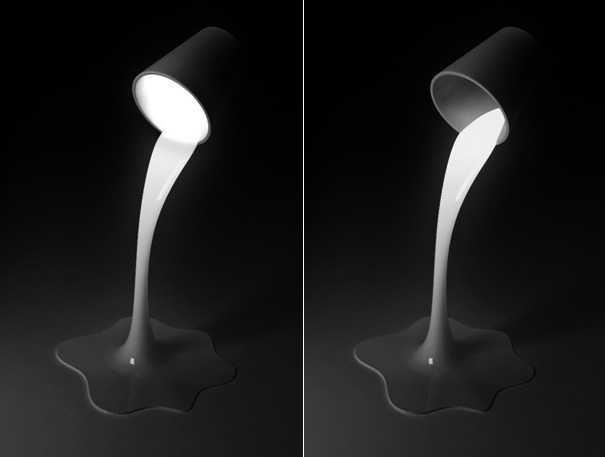 Inspired by the flow of water, Pouring Light Lamp comes with a cup part and a water part made from phosphorescent material. 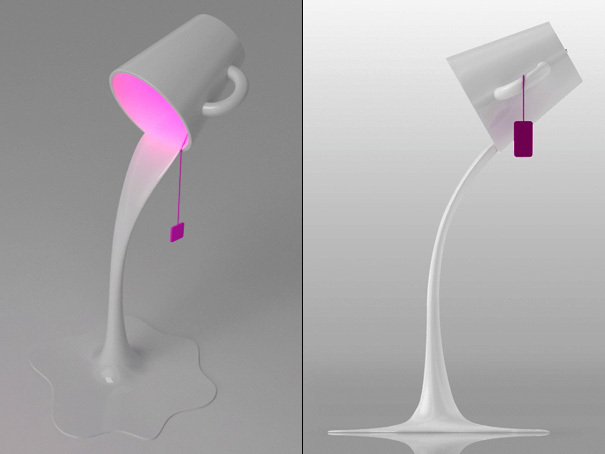 Designer advises us to use this cool lamp with LED in order to conserve energy.